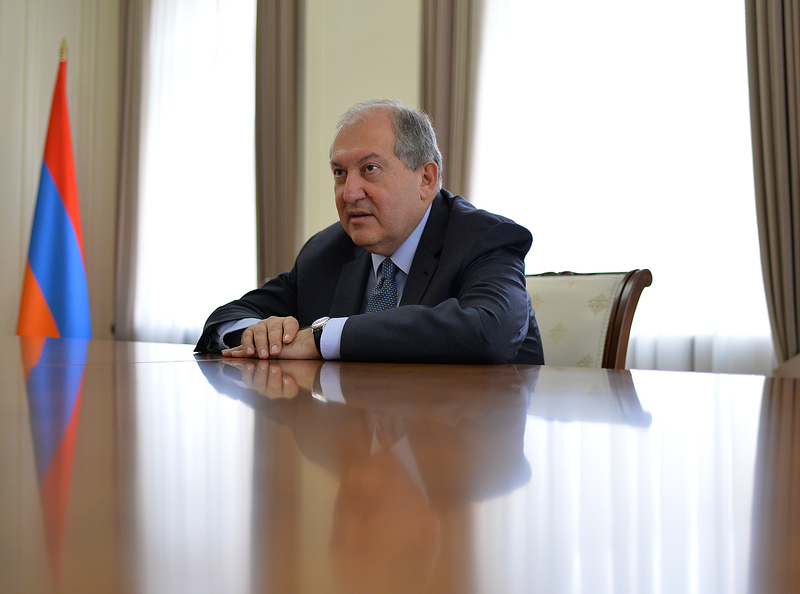 President Armen Sarkissian discussed today issues related to the fundamentals of physics and prospects of development with the employees of the Alikhanian National Scientific Laboratory (Yerevan Institute of Physics) Rouben Mkrtchian, Rouben Manvelian, and Albert Sirunian. 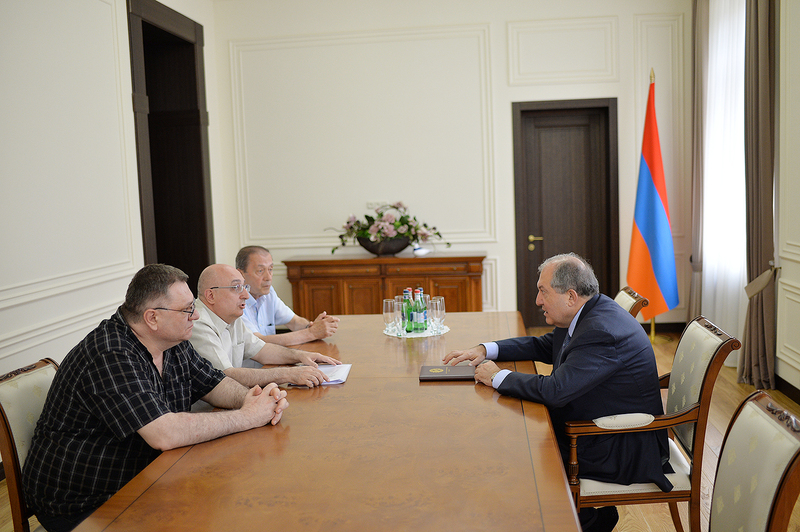 The participants discussed also programs implemented by the mentioned scientific center. 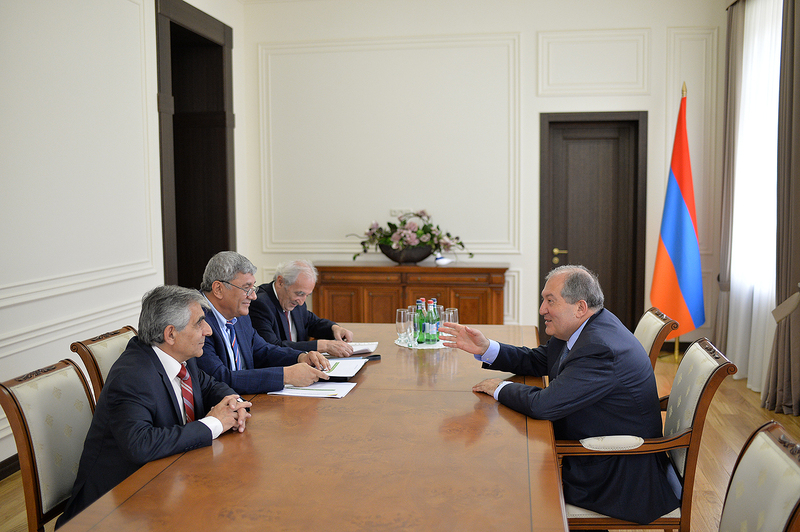 President Sarkissian underscored the importance of developing natural sciences in our country, including physics, also at his meeting with the Chairman of the Science Committee of the RA Ministry of Education and Science Samvel Harutyunian, Dean of the Physics Department at the Yerevan State University Roland Avagian, and Associate Professor at the Chair of Theoretical Physics Ashot Hovsepian. 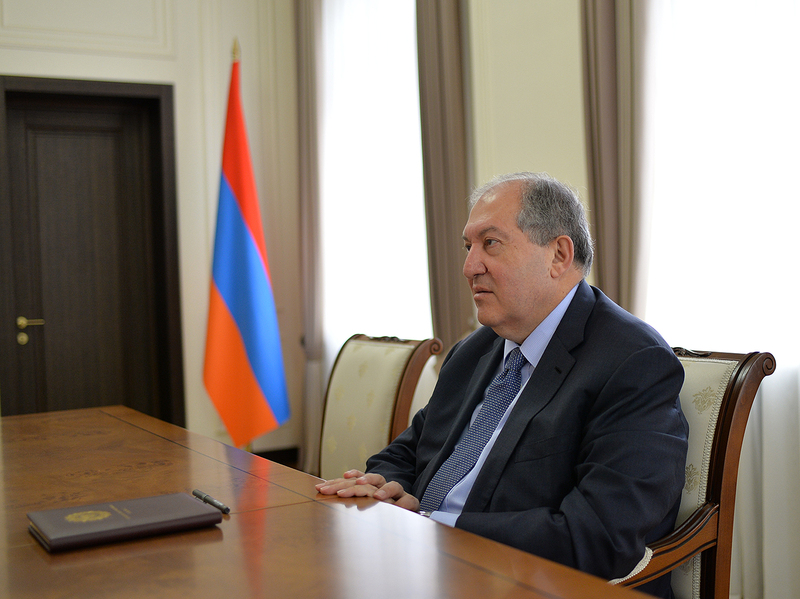 The President expressed readiness to assist in establishing cooperation between the Armenian scientists and international scientific centers.